We have all seen it, the poor people of Gaza, defenseless, just voicing their desires for a better economy, at least according to Business Insider. We have seen Europe portray these people as innocent civilians, a nurse was killed, the evil Israeli’s shot her out of spite, and the UN has been issuing, or at least trying to, issue condemnations against Israel as acting in a way that is without excuse, they are firing on peaceful protestors, such a thing they say is a war crime. You have sites like If America Only Knew is reporting that Gaza is occupied, the crimes against humanity have grown so high that they and others are now pushing the UN to open a tribunal against the Zionist state and there are other calls for the UN to move in a peacekeeping force by the Gaza border. But is this all true? Or is this just a move by the press once more not to show facts, rather a perception of what they see as just, omitting facts that would call their stance into question? So I must ask, “If the US had ISIS on the Mexican border, like Hamas, both have shown they have no problem killing civilians, would the US allow ISIS to cross into our border? What about France or Germany?” I take that back; those two nations are silly enough to think if they sang ISIS love songs they will do nothing. We all know the answer to this, if this happened, or say narco-terrorist were trying to invade in mass, to tear down the border and kill American citizens, the US would place the military on the border with directions to use whatever force was needed to keep them out, including live fire. But let’s go back further, let’s look at Gaza, what brought them to the condition they are now. To understand what is going on, we need to explore the history, see what the press refuses to report on. 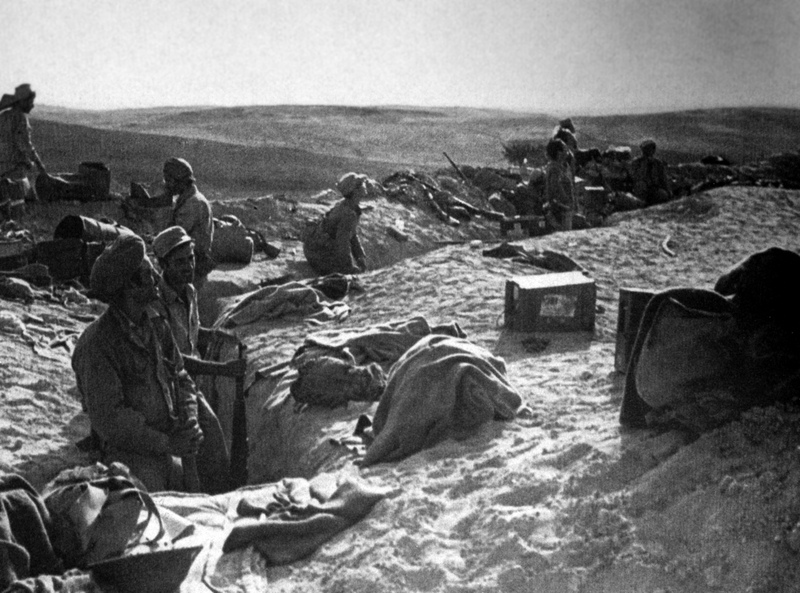 If you look back at the rebirth of Israel, the day after they declared independence, the Arab armies attacked, they did so with the openly stated intent of not only takin the land but killing every Jew there. In the words of the Arabs themselves. With this, we need to look at what Egypt and the other Arab armies did when they attacked Israel. While the Israeli’s did take prisoners of war, the Arabs took none, any Jewish military personnel they came across were executed, Jordan while under the command of the British Officer Lt. Gen. Glubb slaughtered a whole medical caravan, this would have been the Hadassah medical convoy, first killed the wounded in the gurneys they were being transported in, then killed the doctors and raped and killed the women nurses as well (1). It was after this that Israel stopped taking POW’s as well; if the Arabs were going to kill all their prisoners, so would the Israeli forces. I have to add, I don’t agree with this, serving in the military this was against everything I was taught, but I also very much understand their reasons for why they stopped. 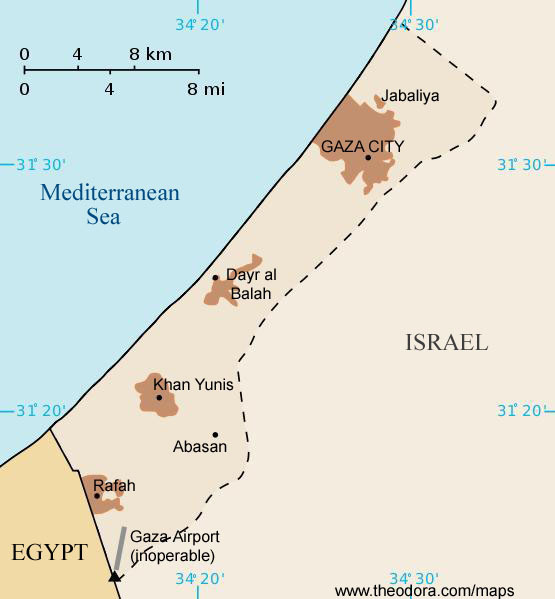 During the invasion by the Arab forces into what was then the newly recreated nation of Israel, the knowledge that no prisoners were going to be taken had Jews fleeing the area, most specifically Gaza, although this happened in Judea and Samaria as well (this was what it was called until Joran renamed the area the West Bank). The Egyptians to a lesser degree moved in Arabs that were either displaced or ones that stated they were Palestinians in Gaza, Jordan in much larger numbers did this with the West Bank. Jordan after moving in hundreds of thousands of Arabs annexed the West Bank in 1950, a move that was rejected by the Arab world, along with most of the rest, with the exception of Britain, and with good reason, it was British officers leading the fight against Israel. They had made a promise with the Mandate of Palestine to set up a nation, then set out to do everything they could to prevent it from being set up. Britain was every bit as much of an enemy in the War of Independence as the Arabs were. But to continue with Gaza, we will leave out the West Bank in the rest, with the exception where they are part of the situation, Egypt ruled over Gaza from 1948 until 1967, Israel had then expelled the Egyptians and the Jordanians that were occupying land that was never theirs to start with. When Israel expelled the Jordanians from the land they were occupying they stripped their citizenship of the people in the West Bank, this was all at the request of Arafat, it would not do to say that their land was stolen, this is when this narrative came into play about the West Bank and Gaza if the people were citizens of another nation. Then how could they claim their land was stolen, they could just go back to the land they were citizens of, plus it aided in the new narrative Arafat was spinning. The Jordanian claim to all of this? They were preserving the Palestinian identity; the reality is they wanted nothing to do with these troublesome Arabs. But back to Gaza, upon expelling the Egyptians in the Six Day War, Israel set up retaking control of Gaza, moved in Jewish families that were expelled, a move that set tensions higher then they already were, and for you that claim there were no Jews ever in Gaza, I suggest you look to the only census taken prior to 1800, tells a different story, this was conducted by the Jesuits, the ones that did all the census work in Europe, they were allowed to do so in what then was the providence of Syria, with oversight by the Ottoman empire, and only took the census of west of the Jordan river. “Palaestina ex monumentis veteribus illustrata” – a detailed geographical survey of Palestine in 1696 written in Latin by Adriaan Reland published by Willem Broedelet, Utrecht, in 1714. Residents of the REGION mainly concentrated in cities: Jerusalem, Acre, Safed, Jaffa, Tiberius, and Gaza. In most cities, the majority of residents are Christians, Jews and others, very few Muslims who generally are Bedouin, who came to serve as Seasonal workers in agriculture or building. Tiberius: 300 residents, all Jews. Note* (no Muslims in Gaza)! There were no Arab Muslim’s in Gaza, it was the Ottomans after the census, realizing the population was not as they wished halted Jewish migration to the area and started to bring in Arabs to fix what they saw as a demographics problem. Later they uprooted all the Jews from Gaza and forced them to go to Tel Aviv, thus centralizing the Jews, precisely as they had done to the Armenians prior to slaughtering over a million of them, but that is another story. During the Israel control of the area, they made Gaza productive, improved infrastructure, built a port, the area was thriving, then came in the Europeans and the UN. In their bid to try to give the people of Gaza their sovereignty of the land they drew up the Oslo 2 Accords, in this, there were to be steps made, Israel was to reciprocate until in the end, they would withdraw from the area, Gaza would be under self-rule by the Arabs. The problem was the steps never fulfilled, right away the Europeans demanded that Israel withdraw from the area regardless of steps were not made, the Israeli’s were then to give access to the Arabs in Gaza to the West Bank, had open ports, no fences and were to set up a thriving enclave. The leadership promised the world that they would turn Gaza in the Singapore of the Middle East, after pressure from the UN, Europe, and even Bush, Israel pulled out of Gaza, but not before forcefully removing people who had lived there for over 35 years, digging up gravesites (when they had pulled out of the Sinai, the Arabs had desecrated Jewish Graves, they were not going to allow it in Gaza), Gaza had sovereignty of their own land. So how did Gaza respond? The day Israel pulled out in 2005 they left behind a thriving floral business for the Arabs to have jobs and bring in resources to Gaza, instead, the Arabs looted the business and greenhouses, then burned them to the ground. After this they complained to the world community they had no resources or businesses, would not admit that Israel left behind businesses, they simply burned them down. After this, just seven days after the withdrawal of Israeli’s the first waves of suicide bombers started to strike Israeli passenger buses, coffee shops, and wedding receptions. In the early 2000’s Israel had enough, they started building a fence, first around Gaza and to this day are still building them along the West Bank and around their settlements. Amazing thing is it almost halted 100% of the suicide bombing, but this did not matter, the UN and Europe along with the EU cried foul, in the UN they issued condemnation after condemnation, but when Gaza terrorist started to attack Egyptians and tourist in the Sina with suicide bombers, Egypt also put up a fence, for some odd reason there was not a peep out of the UN or the EU, and the Arabs? They stood by Egypt’s need to protect their borders. Can we say, hypocrites? But Gaza still had access to travel the West Bank, free ports, and there was no embargo, so what happened? It turns out there were multiple counts of terrorist attacking Israeli’ families while traveling to the West Bank. And how did the Arabs in Gaza and the West Bank react? Turns out they reacted the same way they did on 9/11, they danced in the streets, called these people heroes, and passed out candy in celebration, so Israel did what any nation would do, they shut off all travel through their territory. Naturally, the UN, the EU, and the Arab world cried foul. The UN started off on another deluge of condemnations. But when Egypt and Jordan heard of this, they decided to open their borders, they allowed Arabs in Gaza to travel to the West Bank on their roads, but once more the Arabs of Gaza attacked tourist and Egyptians in the Sinia, they too quickly shut down all access, once more we saw the UN sit on their hands and say nothing, the EU stood by the Egyptians, so did the Arabs. It was interesting how none of them blamed the Egyptians for the attacks like they did with Israel. But Gaza still had their port, and there was no embargo? So what happened? Turns out part of the Oslo 2 agreement they signed, the ones the Europeans and the UN promised to see upheld, had provisions of how Gaza would not be armed, but then the ships came trying to smuggle in arms, there was the Victoria in 2011, the HS Beethoven in 2012, the KLOS-C in 2014, to just name a few. There was also the problem of Egyptian police smuggling arms to Gaza; even the French did this, Israel just busted a French citizen working in their consulate trying to smuggle arms from the West Bank to Gaza. Of course, the French denounced this, how dare Israel arrest a Frenchman for aiding the enemy. In this Israel is much nicer then I am, the French who take every action to denounce Israel and support the terrorist, I would have tossed out their ambassador and pulled ours back, with allies like this no one needs an enemy. But after this was all done, Israel put in place a blockade; they then ordered all ships to dock at Israeli docks, they then would inspect the goods and pay out of their pocket to have the goods shipped to Gaza. And before some of you scream as they have in the UN and Europe that Israel is starving these poor people, turns out that they are ranked number eight in the world for male obesity, and if you think the men aren’t sharing, the women rank number three in the world. So much for that fake news. Once more we saw the EU and the UN how in protests, so did the Arabs, the UN started to send out condemnations like they were bugs, even took Israel to the world court, and lost, so they issued more condemnations. But when Egypt put in place their embargo after finding Gaza was getting arms smuggled in overland from Sudan and ships offloading in the Sinia, no one said a word; even the UN was silent. On a side note, Israel still was supplying utilities to Gaza, but when they had the elections in which the likes of Jimmy Carter was there, supporting his terrorist friends, Hamas, the people of Gaza voted with overwhelming votes to keep Hamas in power, this was with people in place that could have removed them. Israel at this point said enough, Hamas refused to pay for utilities, Israel is under no more obligation to supply utilities then Germany is to France or the US is to Mexico, Israel cut them off. 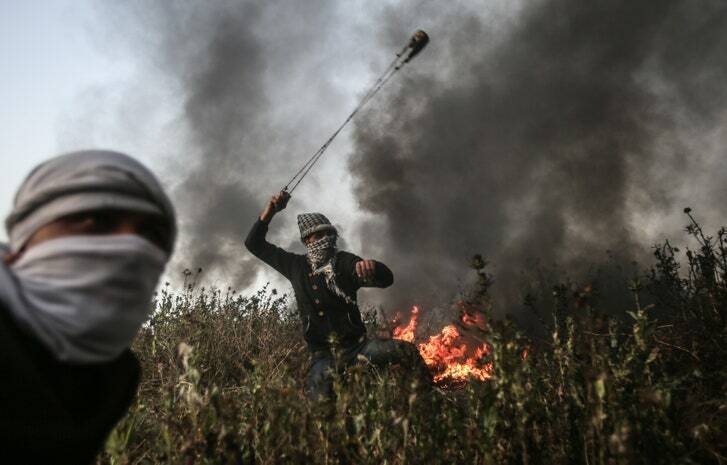 Today we see riots, but are these for freedom, over economic conditions, or the opening of the Embassy in Jerusalem? No, they were planned long before this, they were what they called, March of Return, this was a planned and coordinated march, what later turned into a riot, with demands that the Arabs in Gaza be given access to Israel, that will never happen. When you have the leadership saying, “We will tear down the walls, then tear out the hearts of Israeli’s,” Israel takes this seriously, they have seen this done before, so they put troops in place, so this would not happen. What is more, we find out after the protest that over 80% of the people killed were Hamas fighters. “A Hamas official on Wednesday acknowledged that 50 of the 62 Palestinians reported killed during Gaza border riots on Monday and Tuesday were members of the Islamist terrorist group, bringing the total number of known members of terror groups among the fatalities up to 53,” reported The Times of Israel Wednesday. In an interview with Palestinian Baladna, a news outlet there, Bardawil gave the “official” tally. “In the last rounds of confrontations, if 62 people were martyred, Fifty of the martyrs were Hamas and 12 from the people,” he said. “I am giving you an official figure. 50 of the martyrs in the recent battle were from Hamas.” The video tweet below by Israeli Defence Force spokesman Lt. Col. Jonathan Conricus shows Bardawil’s comments. What we have here are optics, the Hamas leadership knows that Arab dead, more so babies and youth will rise world opinion against Israel, in the UN you see this openly. In a condemnation against Israel, one that the US vetoes, not one word was said about Hamas provoking this, how Israel dropped leaflets the night before telling the people what would happen if they rushed the fence, yet they did, many did for this. And this brings up the last case, the baby. I must ask, “What type of parent would bring a baby, or any infant to a protest where there has been a live fire going on? The facts are harsh; the Arabs do, they will happily sacrifice their dead if they know this will draw in world outrage against Israel, have done so for years, that is why they openly admit to using human shields. Here you find outright lies, even when evidence is presented. 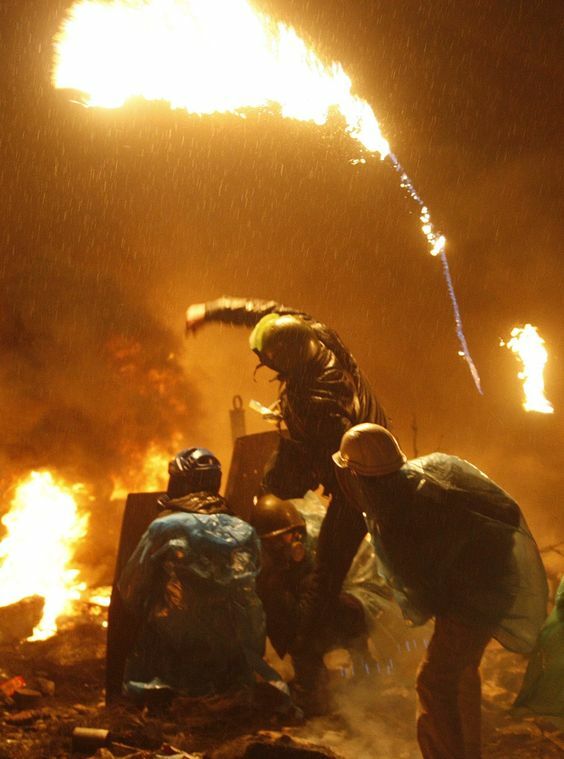 And is this pictures of a peaceful protest? I defend and will continue to defend the right to peaceful protest, but this wasn’t that, this was a riot, an event taken and controlled from day one by Hamas, an internationally recognized terrorist group. It is time to stop the lies, demand that the truth be told, but we all know it will not be, this is not a recent event, to give an idea of how long this has gone on, I will post a show by 60 minutes, an article they pulled from the air after they figured telling the truth was not supportive of their ideas, trying to vilify Israel. And they aren’t alone; the UN too has pulled material they don’t like. The PLO 1964 charter used to be on the UN site, you could access both the 1964 and 1968 charter, then when people started looking at the 64 charter and asked, “Why did the Palestinian authority say they had no claim to the West Bank and Gaza in 64 now in 68 they do, how did this happen?” The UN responded by taking the 64 charter down; it did not support the narrative they wanted to be told. Benny Morris, One State, Two States: Resolving the Israeli/Palestine conflict, Yale University Press, 2009, p. 55. NextPresidential Pardon: Can A President Pardon Himself? The Press And The Left Using The Smollett Case To Present A Fake Narrative.